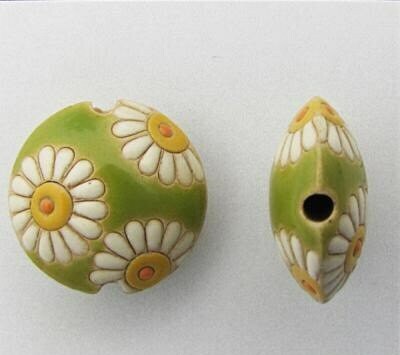 White Daisies are beautifully handcrafted ceramic lentil bead made in Bulgaria. Nice item packed with care. really cute as pictured! thanks for fast shipping!